Best time to visit:October to June. 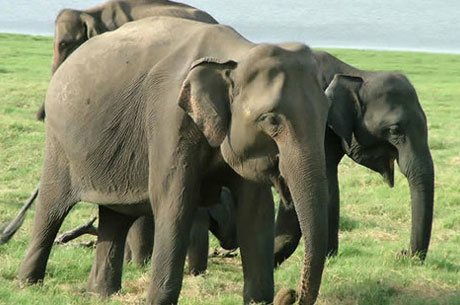 The worth visiting Eravikulam National Park is located in the higher reaches of the Western Ghats, just 15 KMS away from Munnar – a famous hill station and tea town of Kerala. Periyar National Park which is also a Periyar Tiger Reserve located in the high ranges of the Western Ghats in South Indian state of Kerala popularly called as God’s Own Country. Periyar is India’s one of the oldest natural reserves. It was established in 1895 and confirmed as a tiger reserve in 1978. Periyar Wildlife Sanctuary is having a beautiful lake in the middle of the park. It was made when Periyar Dam was built in 1895 this lake roams around the curves of the forested mountains, giving a permanent water supply to the wildlife of Periyar Reserve. Periyar is a tiger reserve under Project Tiger Scheme, though the people visit this spot the Indian elephants taking the boat ride through Lake Periyar. It is one of the finest national parks in India for bird watching, viewing Indian Elephants, Wildlife photography and tiger tracking. 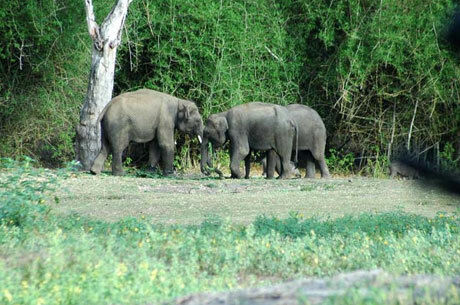 Periyar is a paradise for Indian Elephants. There are three types of major plants found in Eravikulam National Park – first grasslands, second shrub lands and third the forests. The topography which is above 2000m is mainly covered by the grasslands. But in the park, there are many little patches of jungles in the empty places and channels. The deeper valleys of the park are lengthily wooded. Shrub lands dominate by the bottoms of the rock faces and mixed together in mountainous lump areas. The park is having the huge mixture of flora and fauna. It has got more than 26 mammal species, 132 different bird species, 101 butterfly species, 19 different species of amphibians and also 20 orchid species. Apart from Nilgiri Tahr, one may see the elephant, Nilgiri marten, Nilgiri Langur, small-clawed otter and sometime even tiger or leopard however very rare. 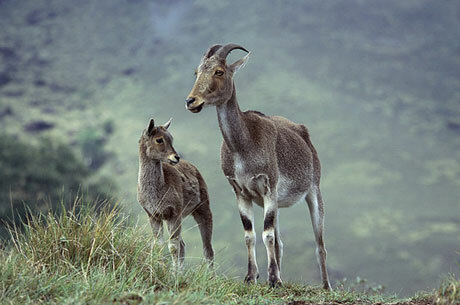 Eravikulam also has Gaur, Indian Muntjac, Sambhar, Golden jackal, wild dog, jungle cat, dole, stripe-necked mongoose, Indian porcupine, ruddy mongoose and dusky striped squirrel. There are 132 bird species in the park as the Nilgiri wood pigeon, Black-and-orange Flycatcher, Nilgiri Pipit, Yellow-Throated Marten, White Bellied Short wing, Nilgiri Verditer Flycatcher and Kerala Laughing thrush. Anamudi (2,695 m) is believed to be the highest mountain peak of entire South India and is situated in the park boundary. This peak quite good place for adventure activities like trekking. Munnar is a very famous hill station of Kerala known as tea town. Munnar is located just 15 KMS from Eravikulam national park and is an ideal hill station of Kerala. Sipping a cup of tea overlooking the tea gardens at Munnar will refresh you. The climate of this area is very much prejudiced by the monsoon of South Western. The months of June, July, and August are known as the monsoon days in the region. In these months this area gets most of the rainfall whereas April and May are quite hot. This region receives little rain in January and February too however, the weather normally remains clear in these months. From September till December, the monsoon from northeast brings some rainfall and this time of the year and also from January to February is the ideal time to take the tours for Eravikulam Park. The best time to visit Eravikulam is from September to March. Air: Kochi or Cochin airport is located 143 KMS from the park and Madurai airport in Tamilnadu is 140 KMS far from the sanctuary. Train: Ernakulam station of Cochin is the closest railhead 130 KMS away.